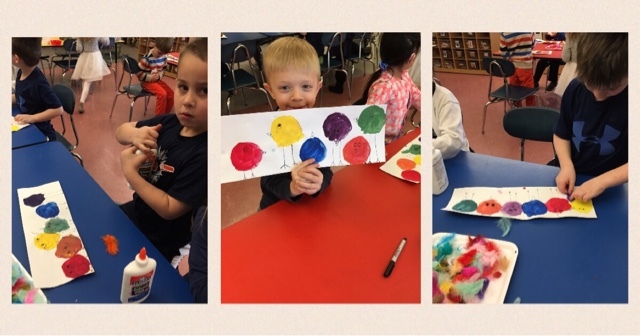 Ms. Nasser's Art Studio: Kindergartners are Mixing Colors! 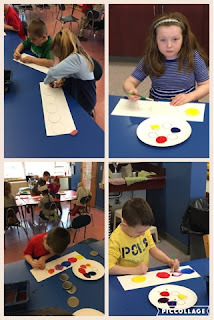 How can we use the primary colors to create all other colors? Kindergarten artists are learning about using the primary colors to make orange, green, and purple, the secondary colors. We started out by watching this collaborative video between Sesame Street and OK Go. Watch it as a family, its so fun! 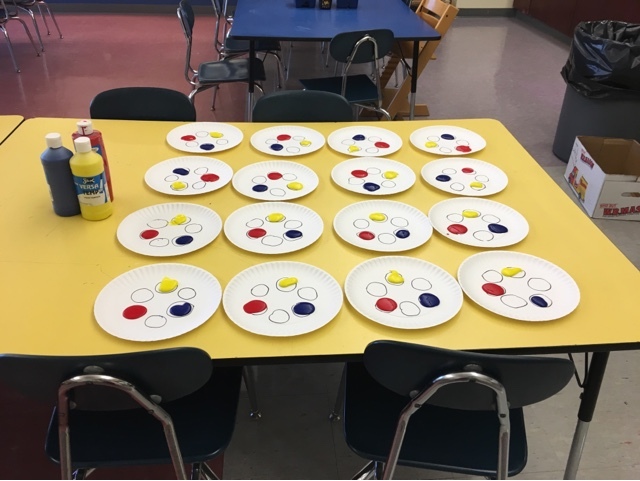 These young artists doubled as scientists and underwent color mixing experiments. I borrowed this paint pallet set up from teach kids art. 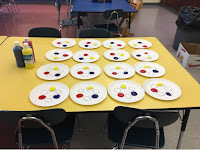 It worked out so well and helped each student mix their colors successfully. Each color circle was then turned into a little bird. Finally birds were adorned with complementary color feathers. We watched a special ballad about complementary colors to learn which color pairs complement each other. K's loved watching these video's and would love to share them with you. 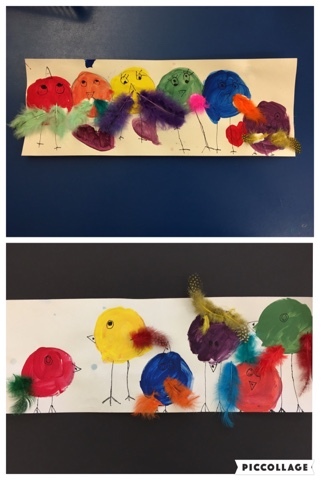 So many skills were learned: primary, secondary, and complementary colors all in one lesson. WOW! 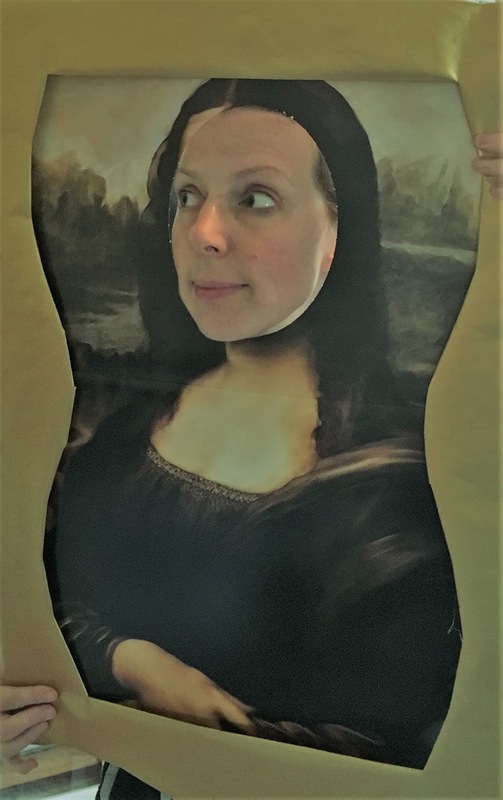 March Mystery Artist is Here!